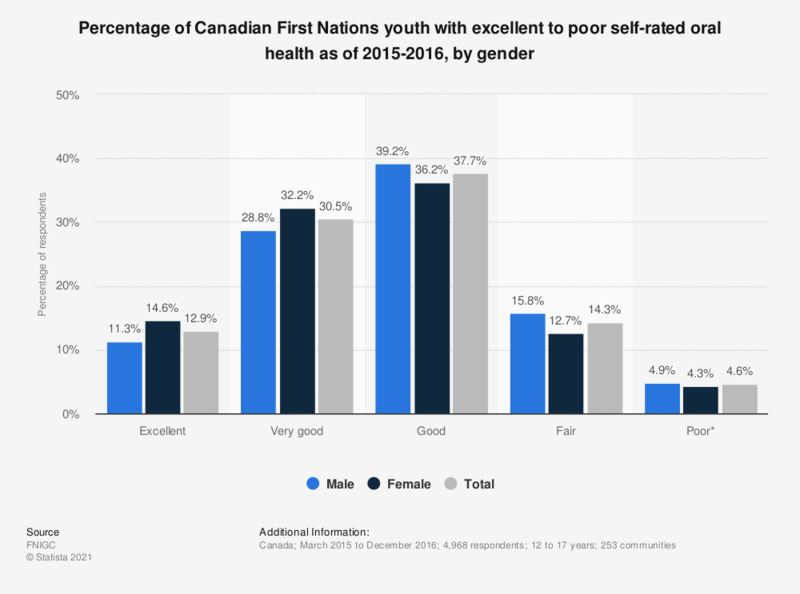 This statistic shows the percentage of Canadian First Nations youth that rated their oral health on a 5 point scale from excellent to poor as of 2015-2016, by gender. According to the data, among all youth, 37.7 percent of indicated that they felt their oral health was good. * High sampling variability, interpret with caution.